Being a lineman is a tough job and without the right gear, it could be uncomfortable and dangerous one as well. One of the priorities of a lineman is having the best boots to allow them to do their jobs comfortably and safely. But what characteristics and features should you look for? Read our guide to finding the best lineman boots along with our top picks. What characteristics to look for. How to get the right fit? Georgia Boot has been around for decades, thus, they have been refining their products for a long time. They are popular among farmers, loggers, hunters, linemen, and other work that are physically demanding. The Georgia Boot Men’s Loggers are no exception to their reputation. Although they are meant for loggers, they are one of the best options for linemen. They are very sturdy, protective, and are reasonably comfortable. For its protective features, the boots have steel toe covering. They are waterproof, thus making them a great option for rainy days. Another great thing about the boots is the steel shaft that provides excellent support. Finally, one of its best features is the outsoles which are abrasion resistant. The high-quality leather makes is very durable. In terms of safety and protection, they make your feet feel very safe. The waterproof feature is great for rainy weather. Laces are very durable and easy to use. They lack insulation for cold weather. Requires some breaking in, which can be from a week of everyday use or more. The sole feels stiff and could be more flexible. If for some reason, the Georgia Boot is not an option, you can opt for these Carolina steel toe boots. They are a great contender and the price difference is not large. Like the Georgia boot, they are meant for loggers. However, they do very well for lineman work as well. They are 8 inches tall for support and have steel toe caps for protection. They also have steel shanks for a really good support. The leather material is waterproof and the insole is a soft cushy EVA. Another thing that makes them suitable for linemen is that they are electrical hazard rated. Tests show that they can withstand an application of about 18,000 volts for about one minute with no leakage! Steel toe standards Steel toe exceeds the safety standards. Can protect you from electrical incidents. Steel shank for support is great. Takes some time to break in them. Gets warm and moist after a few hours, thus becomes uncomfortable. No insulation for cold weather. If you’re on a really tight budget, go for the Adtec Logger Boot. You can get them under 100 dollars, yet they are still reasonably durable. It's made of leather with a rubber sole. The leather is richly oiled for water resistance effects. The boots come in two colors - brown and black. The brown ones look pretty casual as well so you can use them not just for work. More importantly, is uses Goodyear welt construction or durability. Its speed lacing system is easy. Breathability can be better. It also makes my feet sweat more than a few others. Not as good for climbing and extended periods up lines. Chippewa is another trustworthy brand of boots in America. They have a wide variety of options. However, for linemen, the 25405 Chippewa Men's Arador Steel Toe Loggers are one of the best. They are 9 inches tall, lace-up boots. Again, they may be designed for loggers, but it has features that are perfect for linemen. The first thing that is worth noting is that they are very, very durable. It has steel toe cap, which exceeds safety standards for impact and compression. They were really designed with extra durability and strength. Another excellent thing to note is that the leather that is waterproof, using Chip-A-Tex waterproof technology. At the same time, they are breathable which is a great comfort factor. For outsoles, the boots feature Vibram Tacoma Logger Outsole. They offer great traction, stability, and slip resistance. They are also oil resistant. The inside of the shoes features 3M Thinsulate ultra insulation, making them a great pair for cold weather. The materials used are highly durable. Makes you feel safe and protected as well. They are waterproof, insulated, oil resistant, slip resistant, and offer great traction and support. Feels great off the box. It felt like I didn’t need to break in them. The heels allow easy climbing. Works great and are comfortable on the ground. Mud can get easily stuck between the spaces in the soul. Expensive compared to other options. The fourth on the list is Irish Setter's Steel Toe Work Boot. Irish Setter is another popular brand of great quality boots. This particular one, the Farmington with steel safety work boot, is very durable, using Goodyear welt construction and high-quality materials. One notable characteristic of the boots is that it has great moisture wicking materials. They're great for using the whole day because they keep the feet dry and comfortable. The inside of the boot is pretty soft as well, adding to the comfort factor. For support and stability, it has a steel shank. Finally, it also has steel toe caps which are essential for lineman work. Great quality construction. They exceed safety standards. The comfortable cushion that wicks moisture as well. Great waterproofing for all kinds of weather. Easy to remove and replace footbeds. Offers great traction and stability on the ground. The fit isn’t quite accurate. You may need to choose half or one size up. Heels aren’t as good for climbing as other options. Lineman boots are special boots used by lineworkers. They are the ones who install, maintain, and repair electrical energy and telephone lines. While there are boots made specifically for lineworkers, they can also use other kinds of boots. There are logger boots, work boots, and even hiking boots that can have features that are useful for a lineman. No matter what kind of boots, it is important to have certain characteristics and features to look out for. Lineworkers need protective gear which meets or exceeds certain standards. 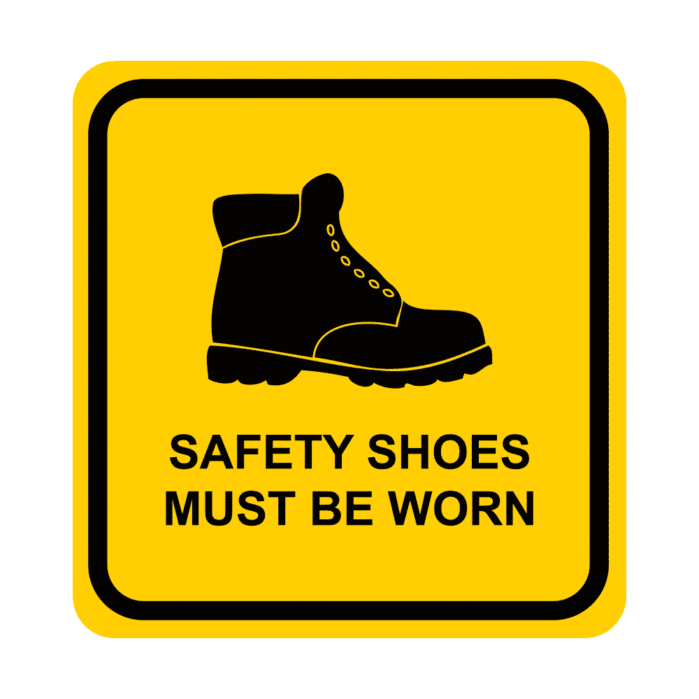 The ASTM (American Society for Testing and Materials) provides the standards for safety footwear. They will test the steel toe caps, waterproofness, electric safety, and more. They have different ratings for what a boot meets or is able to offer. If you're a lineman, you know that on many days, you can be up a pole for hours and hours. All boots will eventually get uncomfortable after a long time, so you want one that can last you the longest. It's also important to be comfortable because the work is pretty rough. Being uncomfortable can be life-threatening especially when you're quite high off the ground. There are different factors that contribute to the comfort factor. To name a few, there’s water resistance, breathability, moisture wicking, and softness. We will try to go over them later on. It's no question that you have to get sturdy boots if you're a lineman. Considering the intensity of the job, you want boots that are long-lasting and more importantly, protective. Durable boots use high-quality leather and are constructed with intricacy. The soles are stronger with solid steel shanks, which offers protection and stability. It’s important to know how the boots were constructed because they can indicate how well they were made.You’ll want boots that use Good Year Welt Construction. They should have great traction and support for climbing. Of course, you want great traction and support for climbing the job entails climbing. Look for outsoles that prevent slipping when climbing, when standing or walking on steel. If you don't consider this, it can be very hazardous. Hard soles last longer than soft ones, but they can get slippery in wet conditions. Consider closely and according to your work conditions as well. Another thing to consider are the heels of the shoes. The tall heels allow the lineman's stirrup to have a better grip and not slide off. Ideally, the best boots are water resistant or waterproof. If your working conditions are likely to get rain or other wet conditions, you might want to consider this. 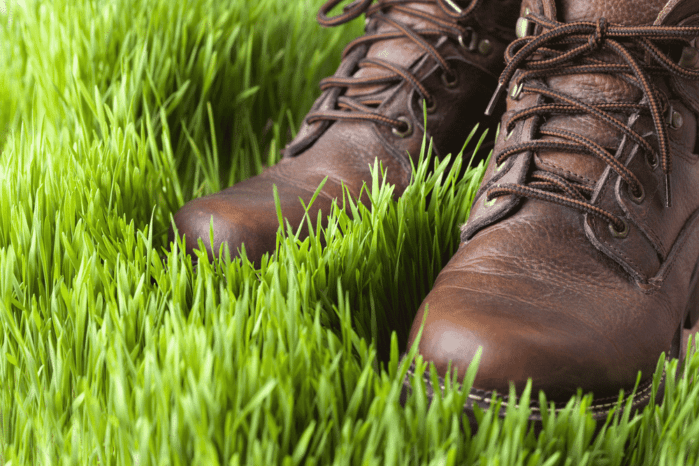 Wet boots will get stinky from bacteria growth and are also uncomfortable. The best boots also have moisture wicking materials in the footbeds or liners. That way, your feet stay dry and comfortable during long hours of work. When you're comfortable, you're also preventing accidents. Do you want boots only for linework or do you want something you can use for other things as well? Lineman boots tend to be very heavy and uncomfortable on the ground, so some linemen have another pair of work boots after doing linework. If that’s not you, you probably want boots that have a multipurpose use, so you don’t have to change frequently. However, these kinds of boots will not be as durable as boots only meant for linework. There’s not just one best fit - every person has different ideas or opinions of what fits well. Ideally, you should visit an actual store and fit for yourself. Ordering online can be tricky because you won’t get a feel for things. However, a general rule is to size up by a half size. Also, think about the socks you’ll wear with the boots. Logger boots and lineman boots are very similar. One can be used for the other. The difference between the two is that lineman boots may have extra features that allow for better climbing poles or trees. There are also some boots that aren’t specifically for linemen but still suit the job well. Lineman boots are essential for line workers for their safety and for them to do their jobs well. There are boots specific for lineworkers and other boots (such as logger boots) that are suitable for linework. When choosing one, you have to keep a few factors in mind. To name a few are safety, protection, comfort, durability, construction, and price. Considering all those factors, the winner for me would have to be Georgia Boot Men's Loggers. They are an excellent pair, providing all that a lineman needs to work well without being so expensive. The steel toe cap meets the safety standards, they are waterproof, comfortable, and durable. Overall, they are an excellent choice without breaking the bank. Just be sure to try the boots on before purchasing them. See how they feel for you. While reviews and other people’s opinions are very helpful, nothing compares to really seeing and feeling them for yourself. Choosing the right size might also be tricky especially if you don’t get to try them on. We’d love to hear from you. If you have any questions or comments, use the comment section below.